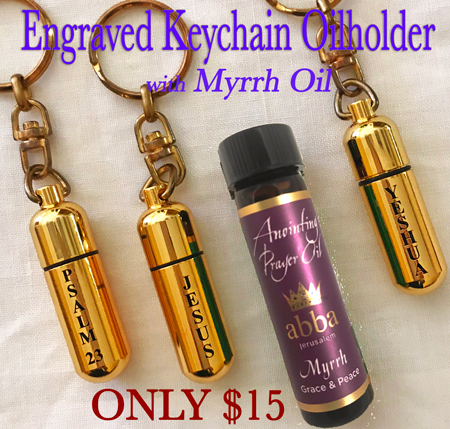 Carrying this gold-tone oilholder/keychain will keep you ready to anoint and pray at any time. The lined cavity and O-ring seal make it easy to fill and virtually leak-proof. The key chain is engraved with the word JESUS, YESHUA or PSALM 23.